King Printing Solutions offers its customers some of the most specialized die cutting technology available. 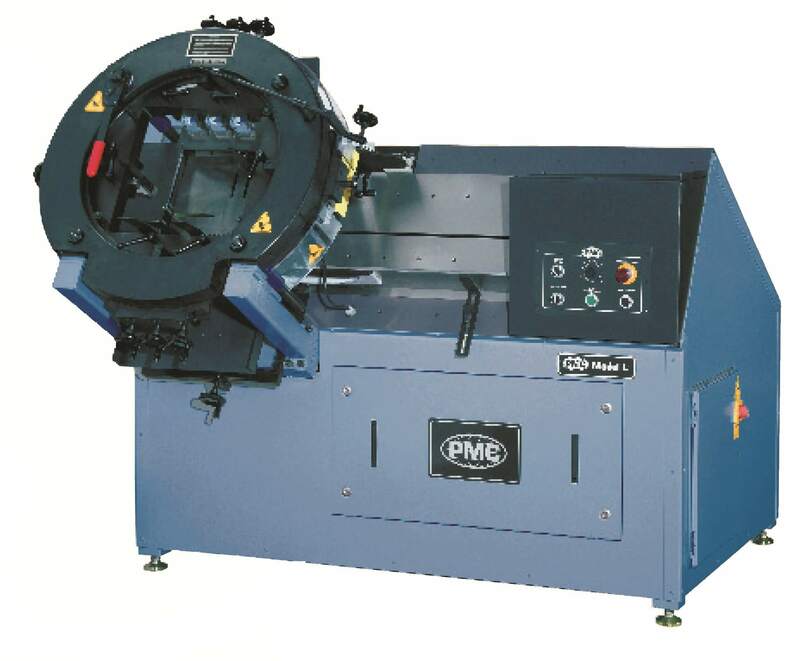 The PMC Model L Die Cutting Machine was developed to meet the demand for production of larger formats with speed and accuracy. PMC’s exclusive guiding system jogs and holds the stacks on all four sides during the die cutting operation for precision die cutting. The Model L features a disappearing feed shuttle allowing the machine to be loaded while a stack is being cut. Four-sided guiding system jogs and holds the stacks on all four sides during the die cutting operation for precise die cutting. Disappearing shuttle enables one stack to be cut as another is being loaded safely outside the die cutting area – for zero loading time delay. Convenient adjustment of guides and die with clear view of die register on labels speeds set-up and reduces waste. Eight die clamps hold the die securely to ensure maximum die cutting accuracy. Variable speed control for maximum production flexibility. Materials: paper, plastic, vinyl, Mylar, paperboard.